Randy installed as President of the Hudson, NH chapter of the Lions. On July 1 Tracy and I began our one-year terms serving our Hudson NH Lions Club as Secretary and President. Why in the world would we put this additional honor and responsibility to our already busy schedules? Well, many have questioned my sanity for some time but I think the answer is a good one. 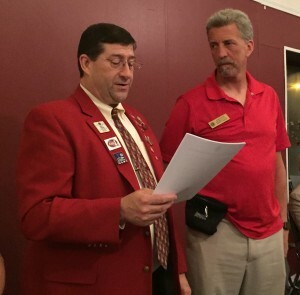 We both have been active members because the people who make up our club and most Lions clubs are simply caring, fun, and committed to making a positive difference in their community and towards easing the challenges of blindness. I’m constantly astounded when I hear reports of over 60,000 meals provided to those in need here in our community via the Anne Marie House we support. I’m proud of the benefit we bring to many aspiring college students who receive our annual scholarships. I’m touched with the number of members attending to support physically and fiscally events like Vision weekend, Lions Sight and Hearing, Camp Pride, and so many other community activities and needs. Visit the website and I think you too may be astounded at how much our one club manages. That alone is enough for me to want to lend my efforts as I’m able when they have need of my service and moreso when I consider that we are just one club of thousands. I believe Lions International represents the largest service organization in the world with roughly 1.4 million members. 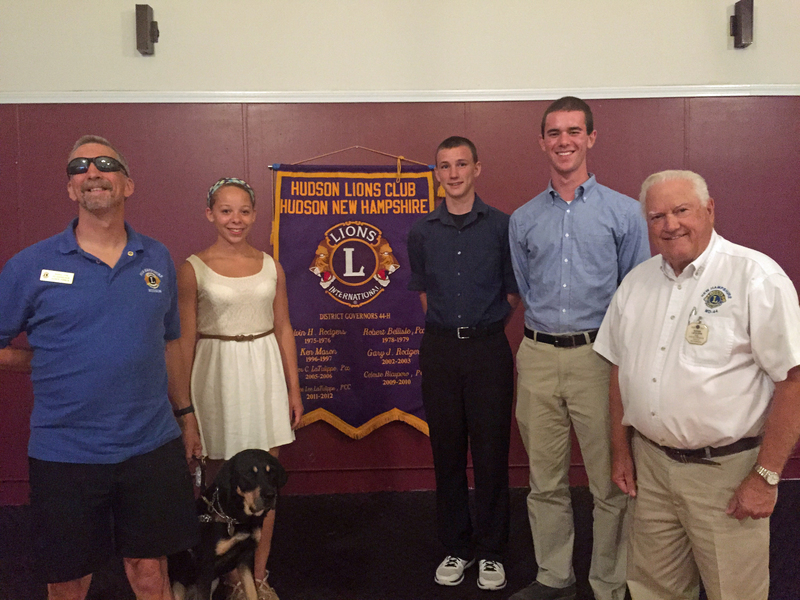 Recent Lions scholarship recipients are honored. Pictured: Randy Pierce, Autumn, Carolyn Nichols, Anthony Holzhauser, Timothy Campbell and PCC Roger LaTulippe, Scholarship chair. Despite the strength of the membership locally and beyond, the reality is that maintaining membership and the ability to continue the great work requires people to step up and become fellow members, to volunteer their efforts at an event and at times to take leadership roles. It is no surprise that as with every organization there are times when it feels like additional work. There are times when we are tired and times when we disagree. Overall we create and maintain an attitude and atmosphere of support, encouragement and working together to create a team able to accomplish far more than we can do as individuals. We even manage to have a lot of fun along the way whether it’s a Cruise on the Mt. 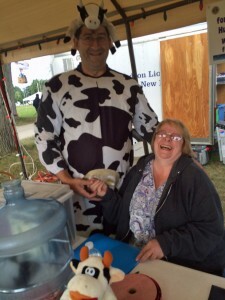 Washington, Cow Pie Bingo at Old Home Days one of the greatest gifts, giving the work or donation which changes a life in need. Old Home Days and Cow Pie Bingo! As President, this year my motto is “Pride on the Path” for the drive to celebrate the work we do together, the inner community of our club and the journey we choose to take together. As part of my 2020 Vision Quest mission I strive to encourage us all to reach our Peak Potential and yet I realize the moments on our peaks are created by the work we make along the path. So perhaps you might wish to join us for a meeting and understand more of what we accomplish. Perhaps you may wish to join us as a Lion or perhaps you are one of the many who are already helping us to do the great work or fun moments along the way. I hope you’ll at least consider how many people strive to make a positive impact in many different ways. Consider a well placed thank you to someone making your world better and think what heights we could reach by being part of a team with that in mind.